One of the best benefits of attending a live event such as the Live the Dream is the relationships that you will establish. Imagine walking out of a live event with a brand new partnership that will benefit you and your business. Having access to other marketers daily will grow your business fast. You will be able to bounce ideas off of each other and have access to answers if you get stuck on something or want to see what other marketers have for suggestions on a project you are working on. They are always available to answer any questions you have and make excellent friends because they are in the same business as you are. As someone who works from home as your own boss, these events are great opportunities to take advantage of for a number of reasons. There are so many reasons why you should attend events and below I list 7 Reasons Why You Should Attend Live Events. Get out of your comfort zone and stay out of it the whole time you are at these events. This is not a time to be shy. You have to be daring and go up to people and introduce yourself. I guarantee the majority are just as shy if it is there first one and by you taking the initiative will help them out too. Do not walk away with less than 10 new names of people you met, get their email address and skype account so you can connect with them later. They could become lifetime friends and potential business partners that will continue to support and promote your business practices. These events are the best way to surround yourself with like minded people who can share their experiences with you and provide you with new ideas and suggestions to help grow your business. You get to meet people face to face! So many of us are so involved with internet marketing, we forget that there are REAL people involved, not just some cyber pic of us on Facebook, Twitter, or our blogs. Remember, building relationships with people is crucial to your business. What better way to do it than in person? You want to get as many videos with leaders as you can. Ask them a question that you can later use for marketing that provides value to others. I see so many make this one mistake when they do this and that is asking each leader the same question…you want to change up your questions so that you are adding more value in different areas with each video you get. When people see you with leaders in the Industry, they look at you as an authority figure, a leader and mentor which will make a huge difference in your marketing. Get as many pictures of you with leaders as you possibly can. You can always use these images in anything that you promote. You can use them in your capture pages that you create inside MLSP or your system or when you promote a webinar that one of the leaders is going to be on. Imagine how much of a difference that image will be to use when you are also pictured with that leader. These images are huge to have and use whenever you possibly can. This is a huge reason to attend these live events. The knowledge and content you will receive will benefit you immensely. The value that you will be able to share will have skyrocketed; thereby increasing your income potential. You receive so much information from all the leaders that they have not shown you before that you will be able to turn it into valuable content. 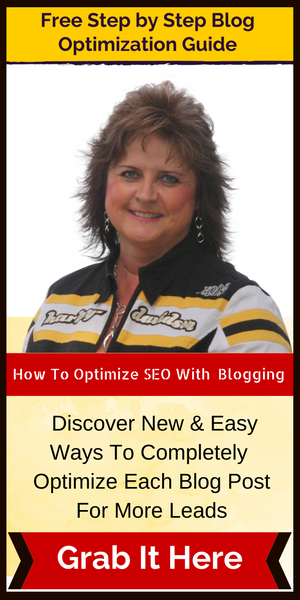 You will be able to create a series of blog posts or boot camp video series from all the content. You will be able to pump out valuable content to your list, your blog posts and YouTube channel. You can give this stuff away easily with the Funnelizer inside of MLSP. Think about how attractive you will now be to your prospects and potential buyers. Be open to receiving. Leave what you think you know at the door. You will be amazed at how much more you will learn by keeping an open mind. Set a goal before you even get there as to what it is that you want to get out of each event. Tell your subconscious mind the night before that this event is going to change the course of your life. It will change the destiny of you and your families life. Major marketing events invite the most respected internet gurus as guest speakers to motivate members and educate them on new systems and tactics that are proving profitable in the business. 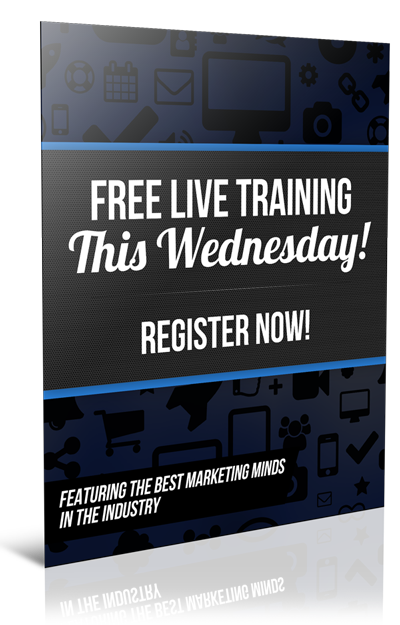 These seminars will help you stay up to date with what's going on with internet marketing so that you can grow with the industry instead of fall behind. The benefit to attending an event for this type of education is that you are presented with visual demonstrations that make new methods and tactics easier to learn and master. Sometmes leaders launch a new product and you get these at a discounted price if you purchase them at these events. I know at LTD they offer a huge discount if you purchase future coaching programs with them that really skyrocket your business and you as a marketer. Don't just expect they will make it…you need to stay on them to make sure they get there. Get your whole team there. Get tough! No Excuses! You learn first hand what kind of things are being launched. You might even get 3-6 months of using the new products etc before anyone else. It is one of the most powerful forms of networking with like-minded individuals as well as your own mastermind team. The amazing ideas you have, just from being in a learning environment, what you are hearing and the conversations you are having. Focusing exclusively on your business for a few days. Getting to go away and have a break from your routine for a bit. The exposure for yourself with top leaders in the industry make you an authority figure in the industry. You come back totally ready to move forward in your business and your goals. And you always leave a better person than you were when you went there. In today's video I discuss the power of attending live events and how you can benefit from attending a live event. Marketing events also offer the opportunity to learn directly from the top producers in the company, which can motivate you to set goals for your business and know that they're achievable. Hope you enjoyed the 7 REASONS YOU NEED TO BE GOING TO LIVE EVENTS. They are a must to grow as a person and to grow your business. LTD Event is my favorite one to attend. Click on LTD Event and get your ticket for this weekend. I guarantee you it will be the best money you ever spent! Hope to see you there! Just think…you are better prepared for next year! Thank you Lynne 🙂 You are so sweet! Wow Roxann, this post is very motivational. I have never been to a live event, it seems to me I have been missing out a lot! Yes you really got to get to live events. It would be exciting attending an event like that. I agree friendships would be good to form as they not only would be good to make but help you in your business as you ask advice and see what others are doing. I couldn’t agree more Roxann. Live events are so important to keep you motivated and connected with the rest of your community. 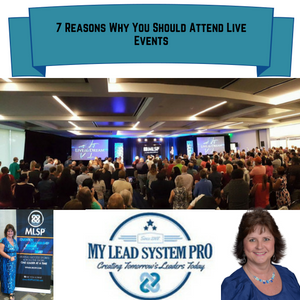 Great post Roxann, the amazing benefits of attending a live event. I haven’t attended a Live the Dream event but have attended events and know how inspiring they are. Thanks for sharing. I know if you attended a LTD event…you would never want to miss another one! 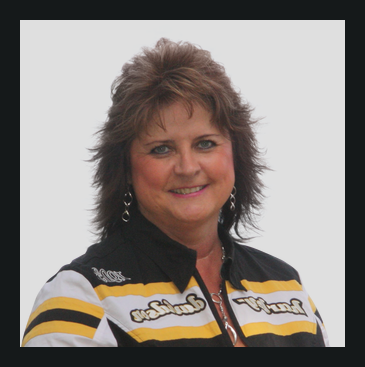 Spot on with the live events Roxann! I agree with you events are life changing and specially when you come home you are feeling pumped to create a successful business. Thanks for sharing. You are right Roxann, company events are the best way to surround yourself with like-minded people who can share their experiences with you and provide you with new ideas and suggestions to help grow your business. This will easily help you scale up your business much faster. Thanks for sharing. I really loved your post. I’ve been to a good number of Live Events but nowhere near as many as I should. I would also love to host my own Live Events in the future if I can make a success of this business. Events are a lot of fun and so worth going to them. Got to be careful of the words you use. Appreciate your message. Thank you and best wishes to your success.